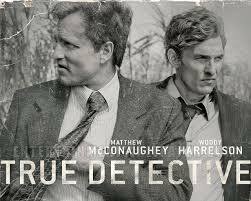 About Salespeople: Salesperson or True Detective? Professional Salespeople talking about the real world of selling to business customers. Prospecting, qualifying, asking questions, negotiating, activity, quotas, comp plans, sales management. As the magic of television and film continues to dazzle us as consumers, one trend I've noticed is that things are becoming more and more realistic. As an example, today's westerns no longer show John Wayne with a clean red scarf and immaculate cowboy gear. Westerns today show the dirty, terrible, violent side of what living on the frontier might have been like. I recently caught the bug of a new HBO series called "True Detective." It's not for everyone and it's only in the second season, but my wife and I we utterly consumed by season one's gritty reality. The show focuses on both the exciting and mundane world of law enforcement investigation. Unlike a "Law and Order," in "True Detective," we're not spared the tedious and frustrating nature of tracking down a lead, checking old public records, or shifting-directions as one lead looks more promising than the other. The series also shows the importance of visualizing an investigation by story-boarding things like connections between people, locations involved, statements made and more. As I watched the drama unfold over season one, I starting thinking about the parallels of criminal investigations (that a police detective might do), and the "investigations" salespeople do every day. We "track down" leads. Sometimes they're qualified, sometimes they're not. Sometimes they push us in the wrong direction. We have to do the "tedious" things that nobody (including detectives) like to do. We have to document what we do (or the criminal/sale gets away). We have to connect information together. We have to try things 100 different ways before it works. There are consequences. Detectives know that if they don't catch the bad guy, something bad is likely to happen - again. In sales, the consequence is losing a sale, or your sales reputation! Detectives have to interview "people of interest," to get them closer to the suspect. Salespeople have to interview different decision-makers and influencers to get them closer to the sale. It's the smallest thing that makes all the difference. Detectives know that the smallest clue sometimes leads them right where they need to be. Salespeople often look back and think, "If I would have just seen that one piece of information. . . "
In many respects, all salespeople are detectives. We aim carefully, define prospects, investigate clues and set the right influence to capture the sale. Visualize your sale...connect the dots. No badge required. Copyright 2012 AboutSalespeople. Awesome Inc. theme. Powered by Blogger.